Klayman: Naive Wishful Thinking by Napolitano Who Has Mostly Turned Anti-Trump! 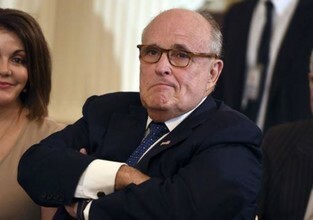 Rudy Giuliani, President Trump's personal attorney who has been under fire for what was seen by some as missteps during recent TV interviews, may be dripping information about Trump to the public to lessen the shock when Special Counsel Robert Mueller releases his final report on his Russian collusion investigation, Andrew Napolitano, Fox News' senior judicial analyst said. Napolitano, who appeared on "The Story with Martha MacCallum" on Tuesday, argued that the strategy is not an uncommon tactic and could lessen the impact of a report that could otherwise be "like dropping an anvil in a lake."